Of all the Microsoft OS releases till date, the Windows 8 is considered as the safest one. Built to be less vulnerable from online security threats and harmful software, the Windows 8 security maintenance starts right from its start screen. 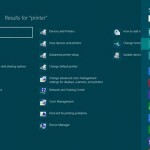 This article explains how to troubleshoot the security issues of your Windows 8 computer, making the best use of the Action Center and to restore the system integrity. The Windows 8 security tools and maintenance options are available in number of places and functions including the user access control, Windows Defender, Windows SmartScreen and the Windows Firewall. All these tools and their functionalities ensure that the system remains safe from viruses, ransomware, malware and other malicious entities that mostly run in the background of the system and the users remain fully unaware about malware’s activities.